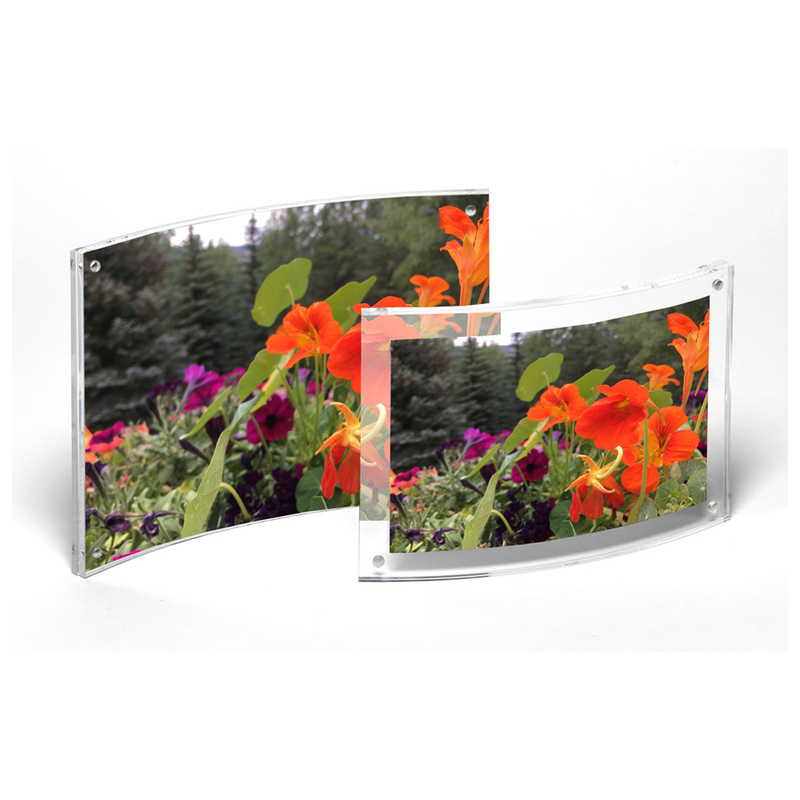 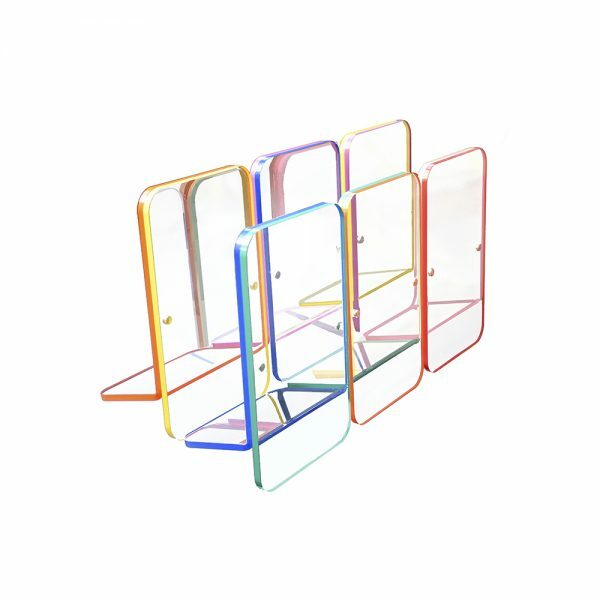 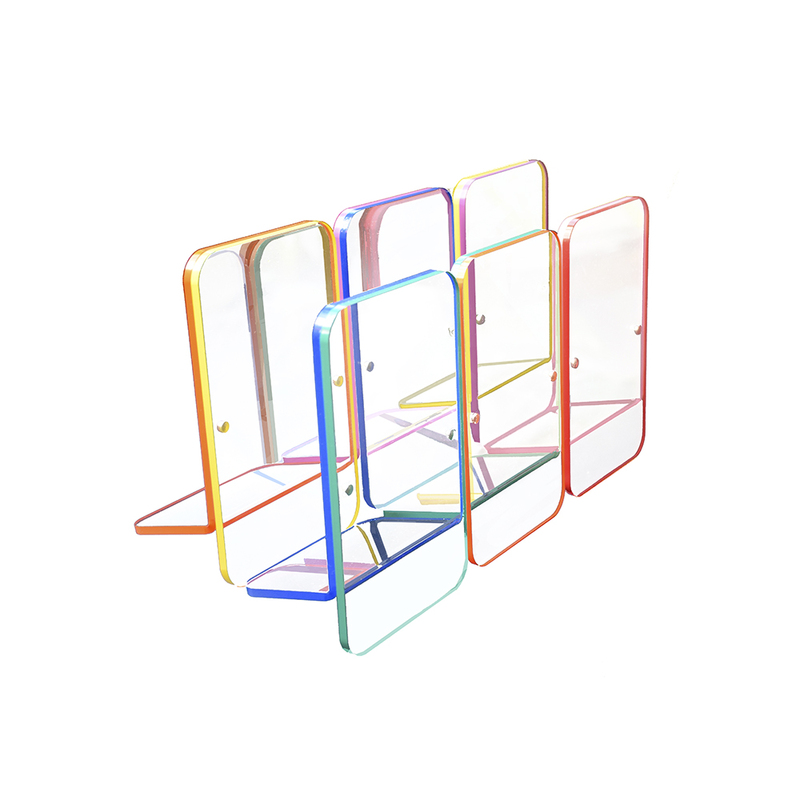 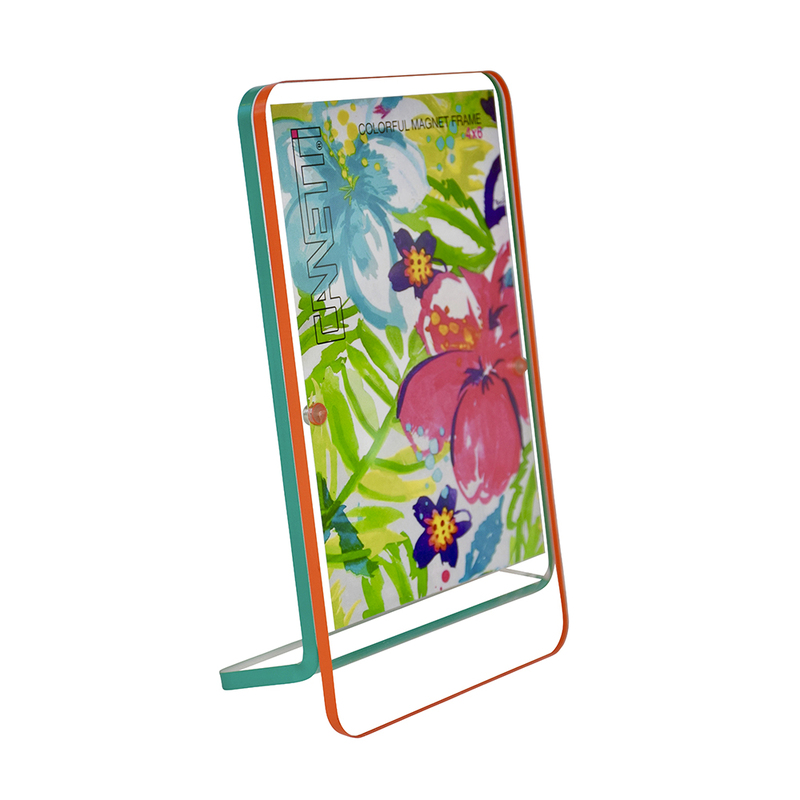 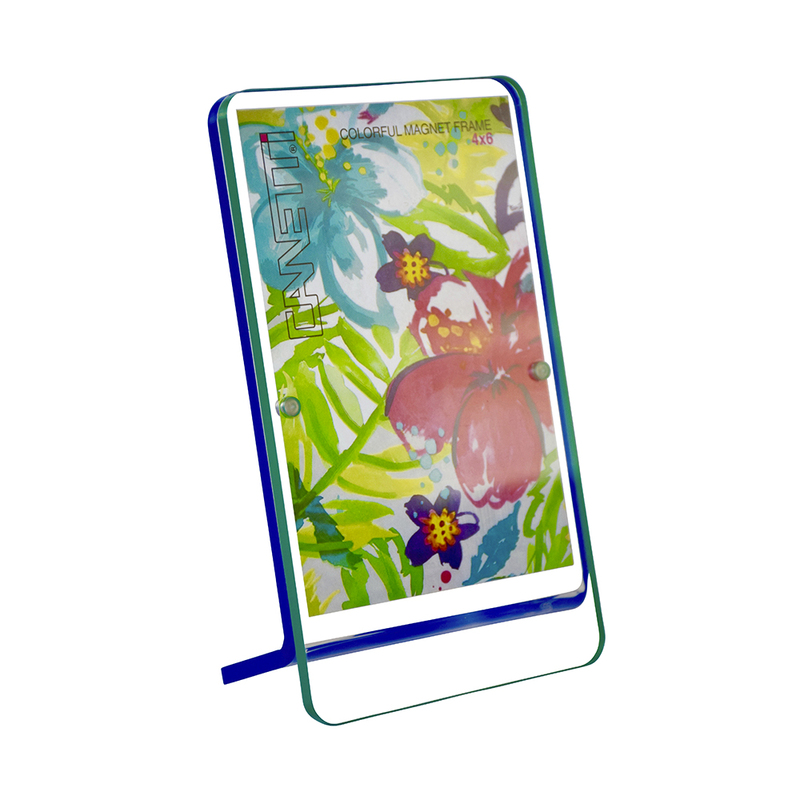 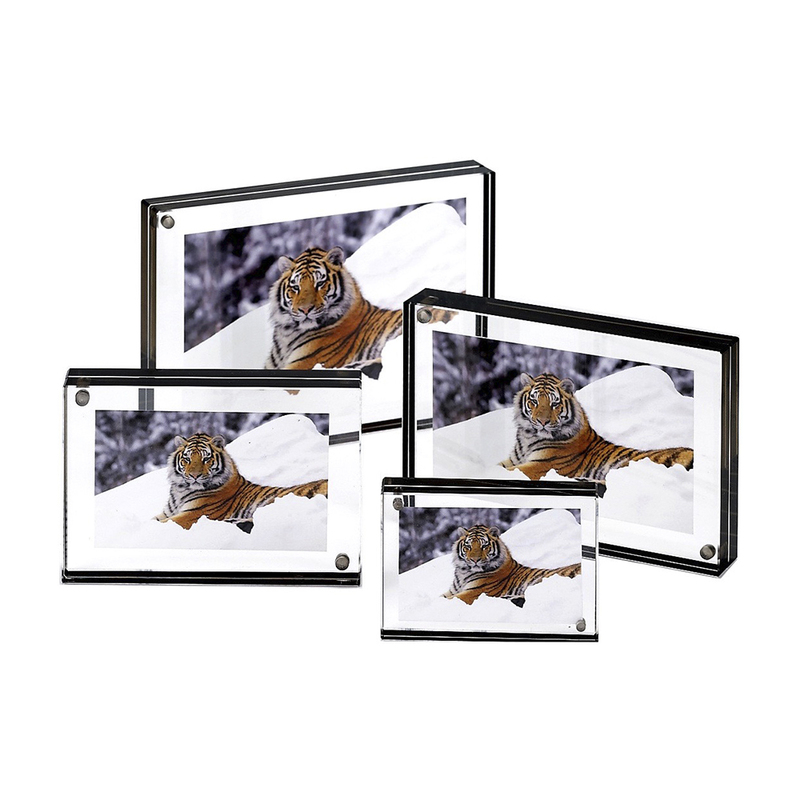 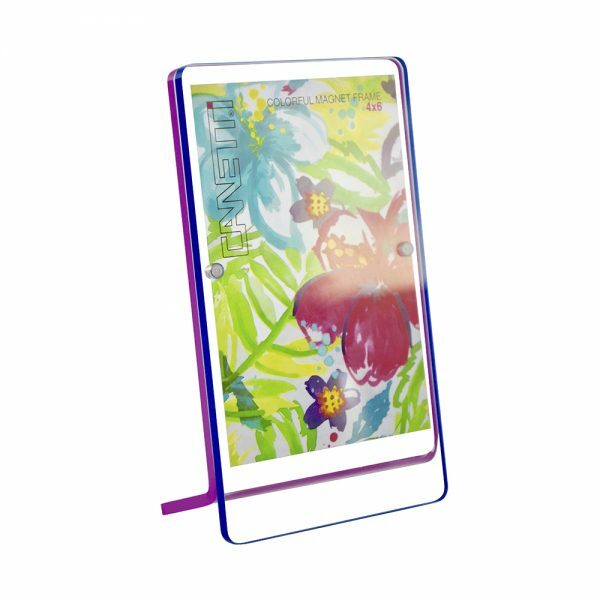 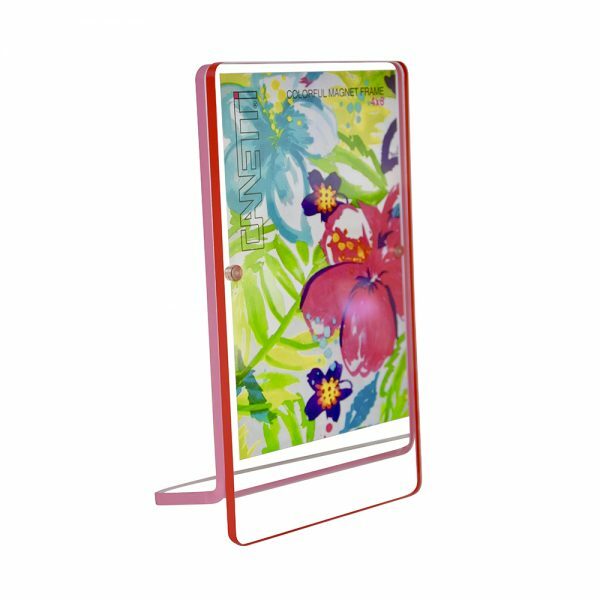 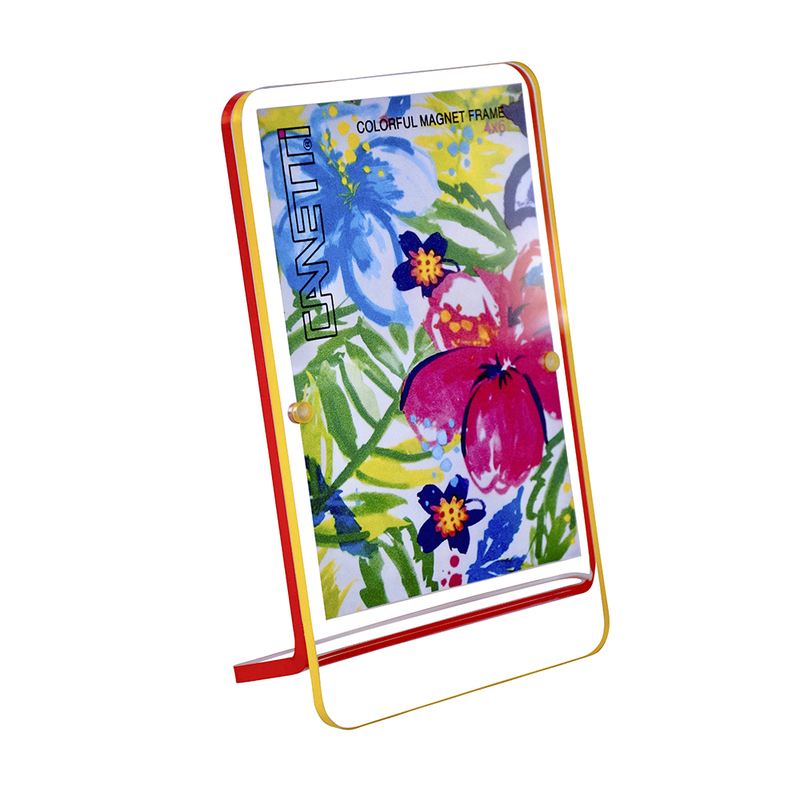 The Colorful Magnet Frame is composed of two thin crystal clear acrylic panels, each one edged in a different bright color. 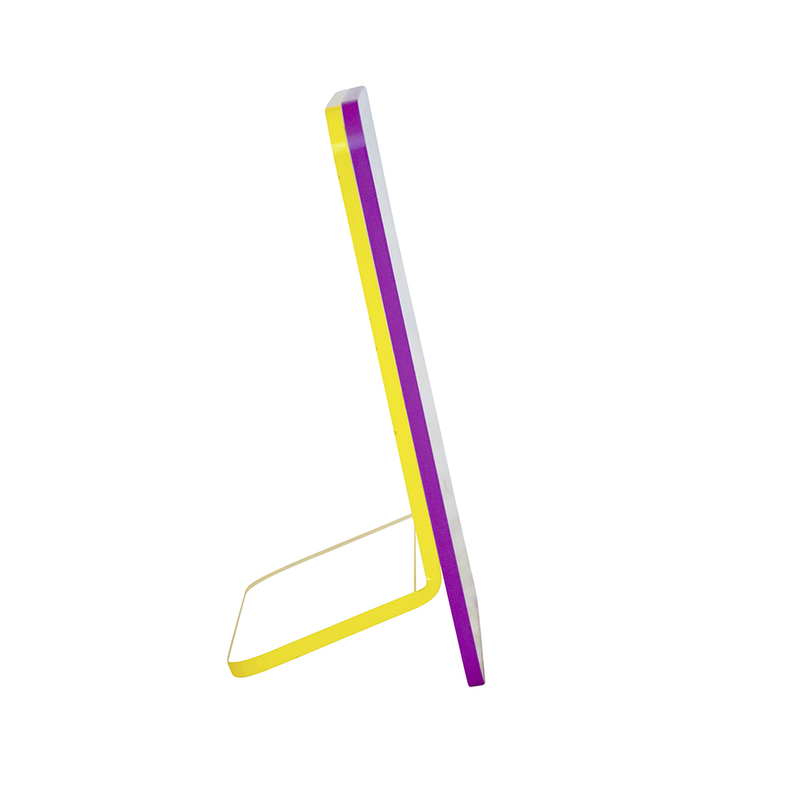 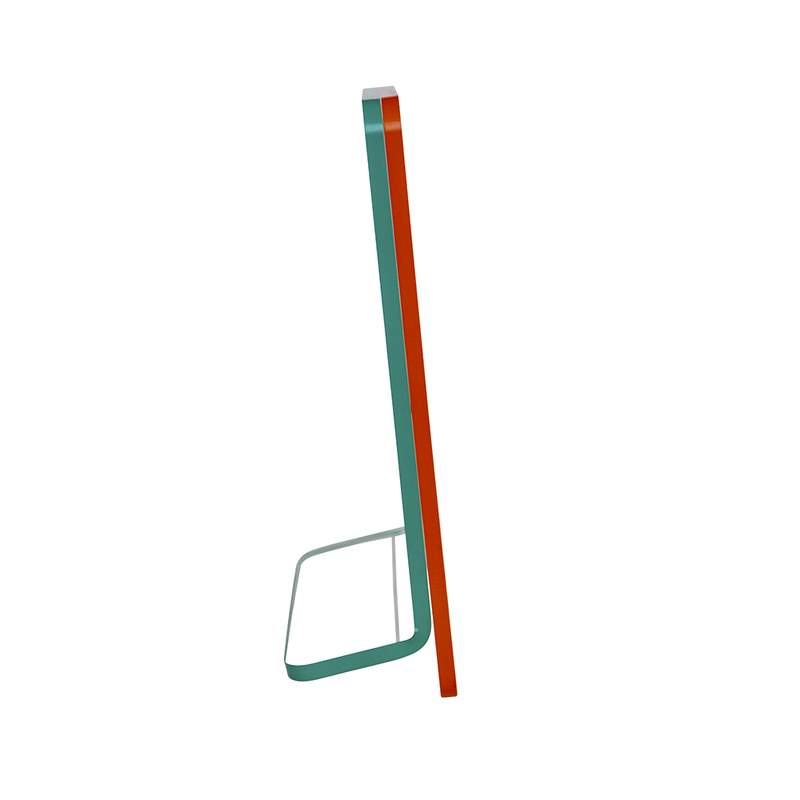 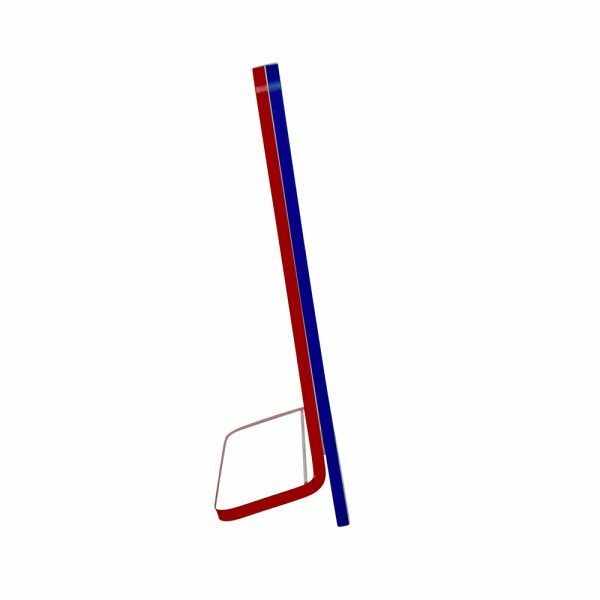 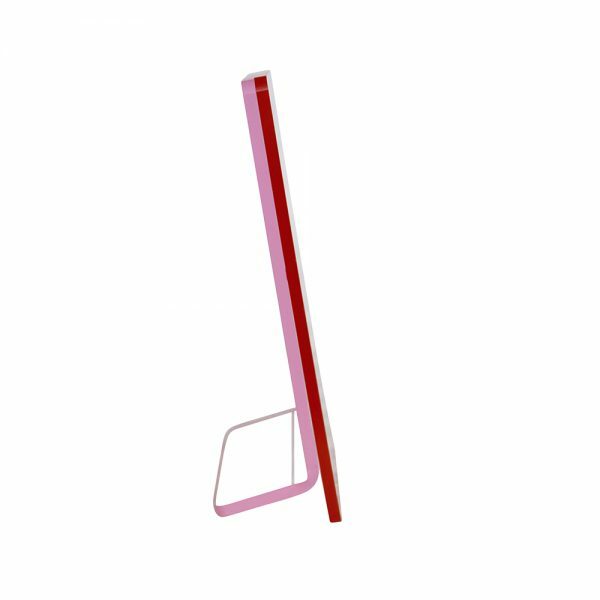 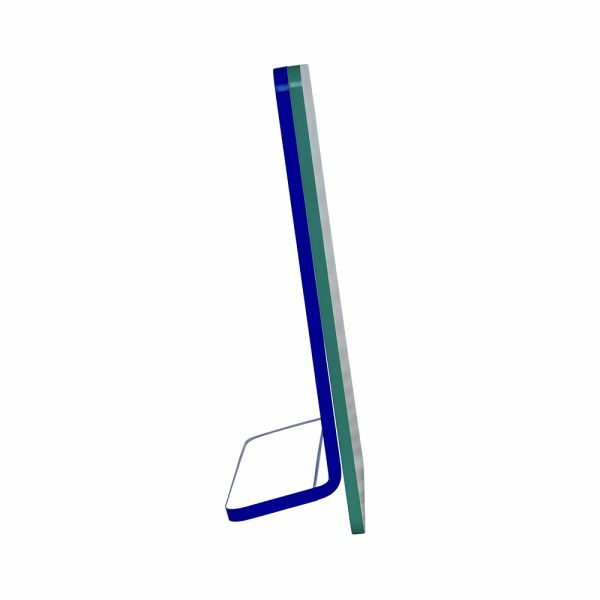 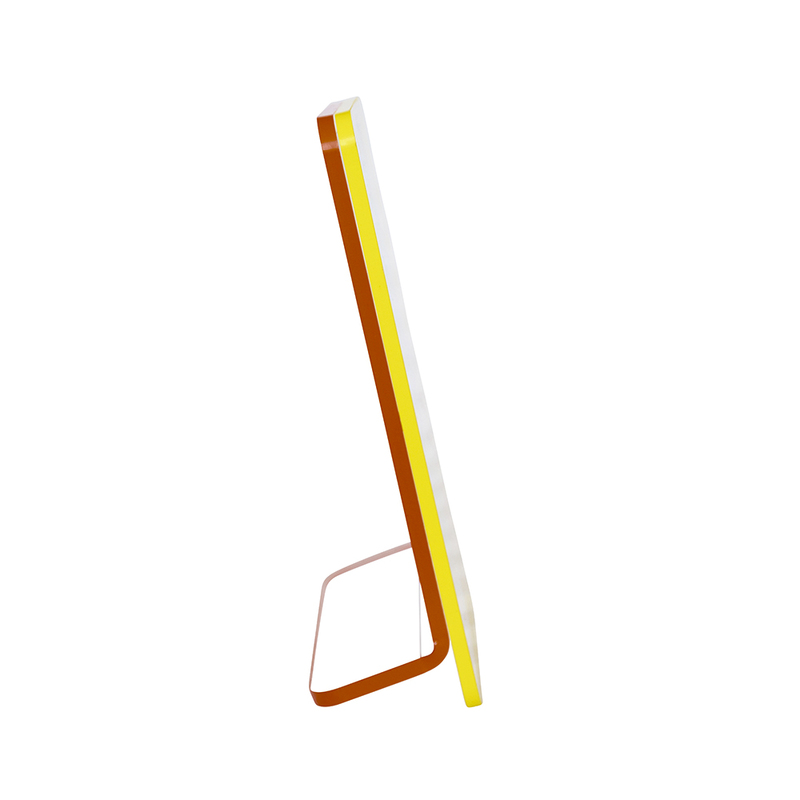 The front panel is straight while the back panel has a bend, allowing it to stand on its own. 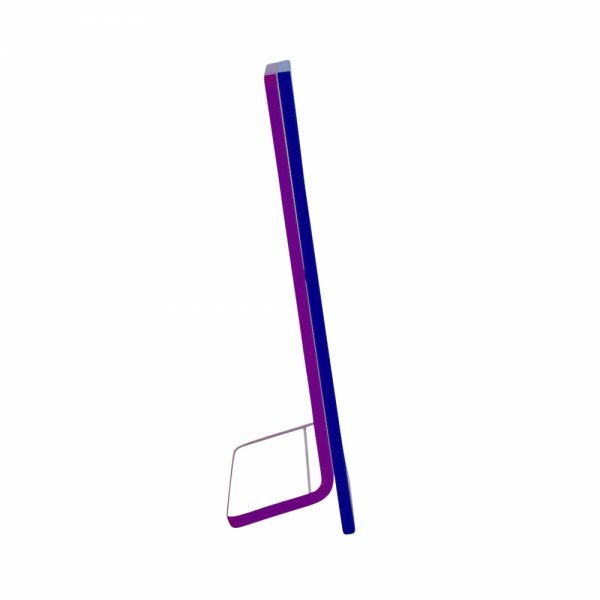 Can be used in the vertical or horizontal position. 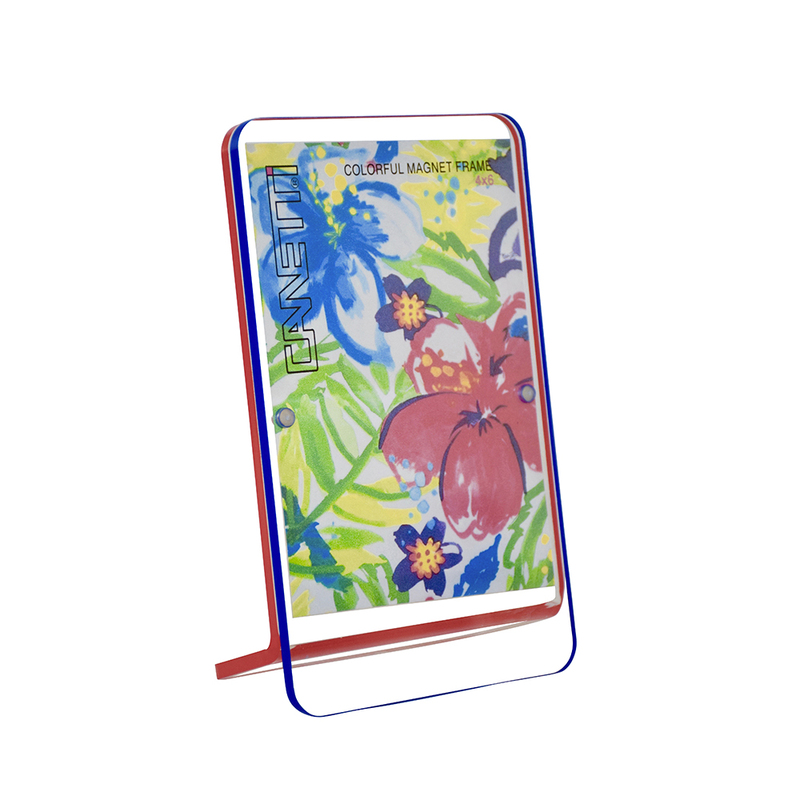 Size 4” x 6” in seven bright colorful combinations. 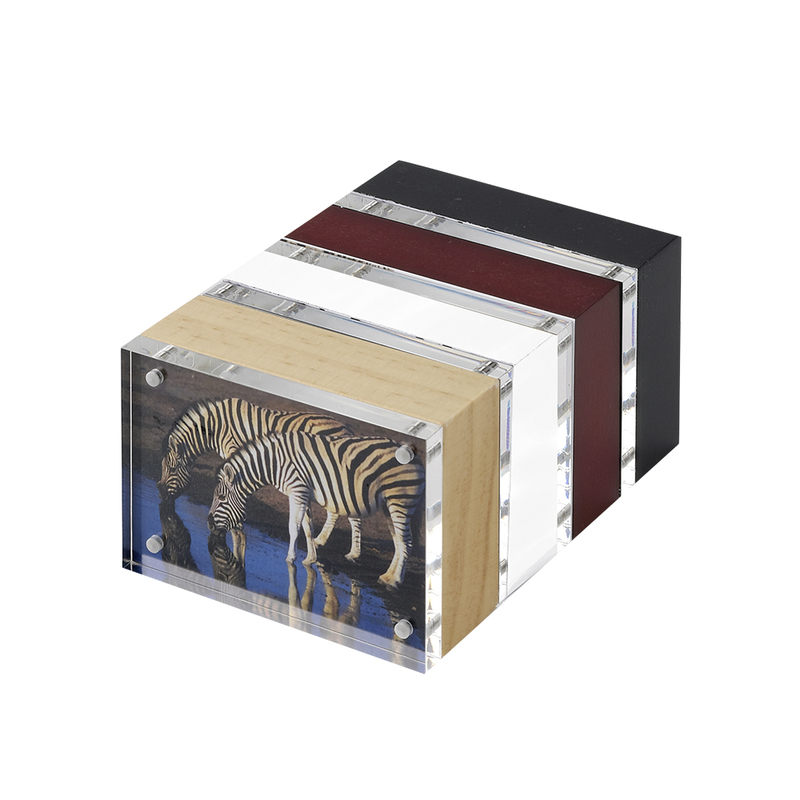 Choose an option4" x 6"